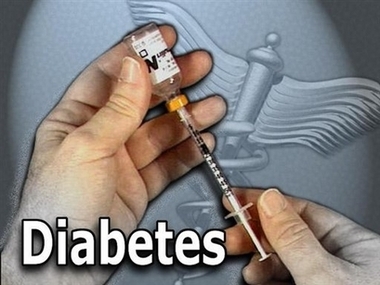 Diabetes is a lifestyle disease that has affected more than 220 million people in the world. Every year more than 3.4 million people died due to high blood sugar. In this article, we have looked at the role your diet and nutrition plays in controlling and even reversing the affects of diabetes. One of the key causes of Type-2 diabetes is obesity that can be controlled by making changes in the diet and by exercising regularly. The nutritional goal of the suffering from diabetes must be aimed at reducing blood pressure, improving the blood lipoprotein profiles, maintaining normal blood glucose levels and improving blood lipid profile. Recent research has shown that excess fatty deposits in the body can disturb the functioning of major organs in the body like kidney, liver and pancreas which can play a major role in development of type-2 diabetes. Fatty deposits in the body can also interfere with essential metabolic functions of the body like storage of glucose the production of insulin. According to a study conducted by experts this condition can be reversed if a person reduces the calorie content in their diet. When people reduce their calorie content, the excess fat that is deposited in the pancreas is removed and normal secretion of insulin is restored. Experts believed that this study has helped in proving that Type-2 diabetes can not only be controlled but can also be reversed. Apart from reducing one’s calorie intake, there are several other dietary changes that a person must make to control their diabetes. People must reduce their intake of cholesterol, saturated fat and sodium as it will in reducing hypertension in people who suffer from diabetes. People should also make changes in their carbohydrate intake as it will help in management of blood glucose. When making changes in one’s diet plan, it is important that one includes foods with low Glycemic Index (GI). Foods with low Glycemic Index (GI) help in slow release of carbohydrates with can help in reducing the blood sugar levels. Also, increasing the fiber content in food can help improving the responses of insulin and glycemic. People must also include antioxidants like black and green tea polyphenols, garlic oil, grapefruit extract narigenin and broccoli extracts as in helps in reducing oxidative stress that is associated with diabetes. Also, people must increase their mineral and vitamin D intake as it can help them manage their diabetes. Deficiencies in minerals like zinc, potassium and magnesium can increase carbohydrate intolerance.